My birthday is next month. Instead of asking for gifts, I thought I would ask folks to SPREAD KINDNESS (in my honor or just out of the goodness of their own heart). I am BEYOND BLESSED and don't need more "things" - so why not ask people to go out and DO GOOD?! 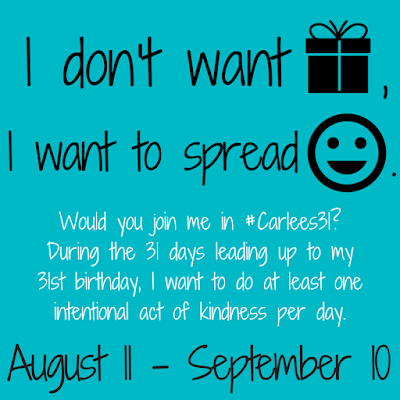 I will be turning 31, so I thought, I'd do one at least one "intentional act of kindness" for the 31 days leading up to my birthday. 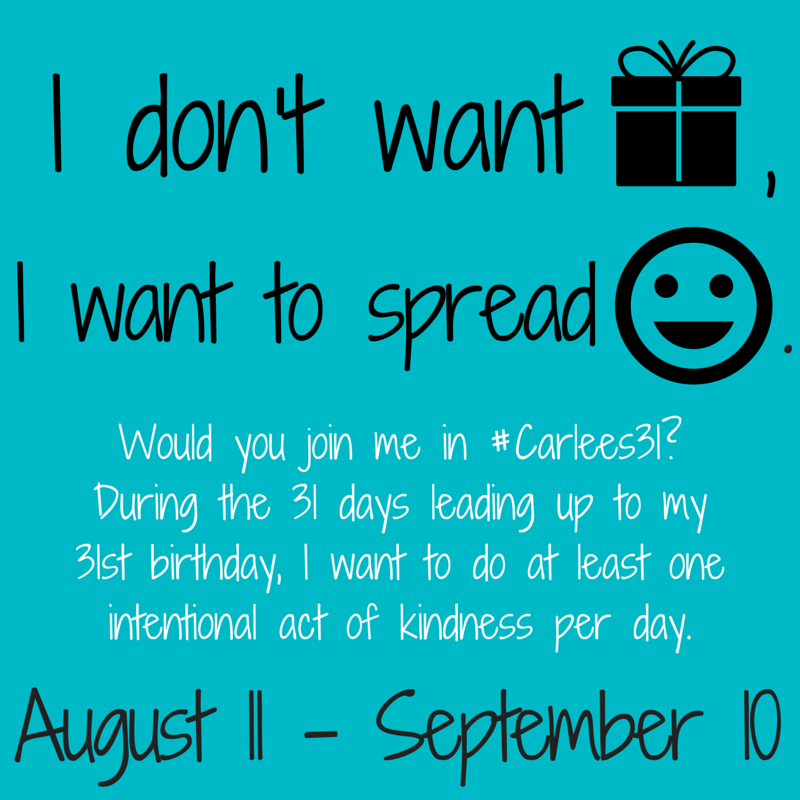 I will be using the hashtag #Carlees31 on social media and would love for you to follow along with the project (it stands for the fact that not only am I turning 31, but I will be participating in the challenge for 31 days). It'd be great if you checked out the hashtag over the next month or so, but what would be even more AMAZING is if you would PARTICIPATE! It doesn't need to be the full 31 days, but maybe you could spread a little extra joy a time or two and even use the hashtag yourself. August 11th will be the official start of the project (one week from yesterday). I figured I would give you the heads up a couple days in advance so you could start thinking about what you wanted to do. 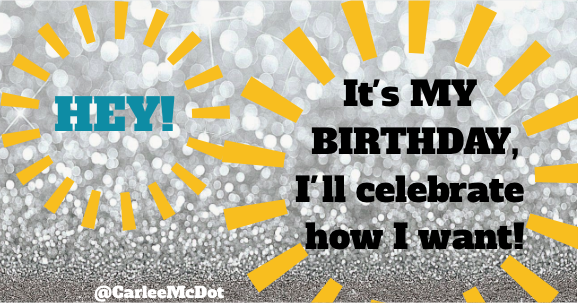 I did something similar (but on my birthday instead of each day leading up to it) a couple years back so I have some ideas of different acts I want to do - but would LOVE to hear your ideas too. I hope you consider joining in on the #SpreadingKindness movement! Some people do good so that good comes back to them, but I think we should do good JUST TO DO GOOD! The world needs more of that, #AmIRightOrAmIRight?! What is one way you could Pay It Forward? What a freaking AMAZING way to celebrate your birthday!! Yes!! I love this so much! It's an awesome idea Carlee! I think kindness is mistreated in our crazy days...I'll be with you!